Abraham was a prophetic example of the New Covenant believer who lives by faith and grace. 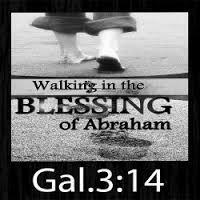 (Gal.3:7) teaches that we are sons of Abraham and his blessing are our blessings (in Christ). Abraham and his wife Sarah have something to teach us about old age. Their story is not there as some history lesson but as a living example of God's grace. When reading (Gen.24:1) "Abraham was now very old, and the LORD had blessed him in every way" many assume that Abraham, was old and frail. Nothing could be further from the truth. In fact at 135, after the death of his first wife, Abraham married a new young wife, had six more children and live another 40 years, prospering in all he did. Also, the good news for the ladies, is that Abraham's first wife, Sarah, was like a youth in her 80's. She had a child, Isaac, was so beautiful that Kings desired her, and she lived another 40 years. What I'm saying is that their abundant full life started in their 80's because God's grace and favor changed the natural order of things. This is what miracles are, when God's supernatural power overcomes the laws of nature. The issue today is that many Christians are living according to the bad reports of the world concerning aging. People are getting fearful and depressed as the years go by. We are listening to all the bad news reports that at a certain age certain sicknesses and weaknesses will occur. This is a problem as what we fix our eyes on and what we believe, we will generally act out. Our call in faith is to fix our eyes on Jesus and now know that we no longer live by the standards and beliefs of the world. Instead we live by the Word and the Spirit. So let us reject the world's ways, renew our thinking and our minds and see Sarah and Abraham as our example as we get older. Be blessed, healthy and full of the abundant life of Jesus (Jn.10:10) as the years go by expect more not less. May the latter years be more blessed than the former years. Live in this grace.